Before I had kids I would happily spend a day wandering around art galleries. I love the way art questions our belief systems, gets us thinking differently, inspires us to change. I’d like my kids to feel the same. 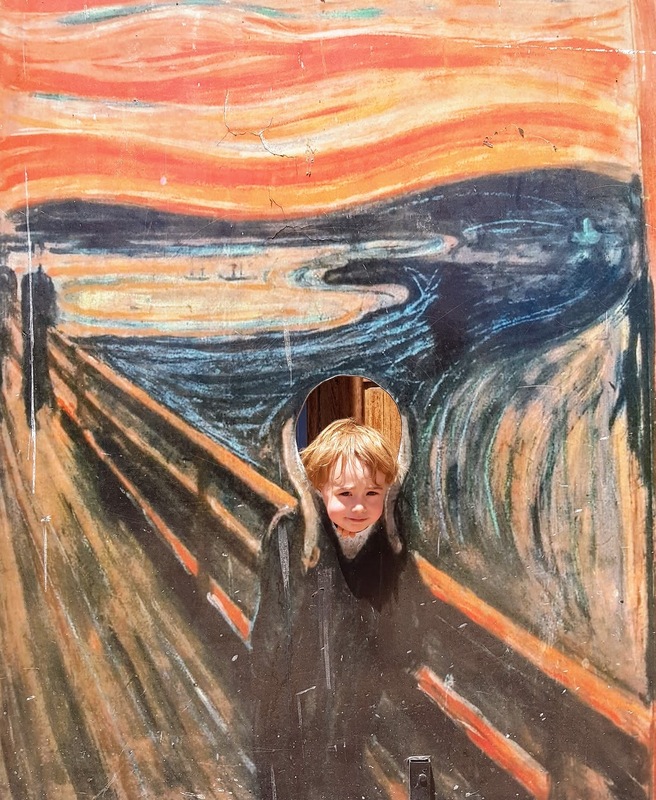 But I don’t love art enough to rush through white spaces, being shushed at by attendants as my monsters rampage past ‘do not touch’ signs, whining for food, juice or a nappy change. 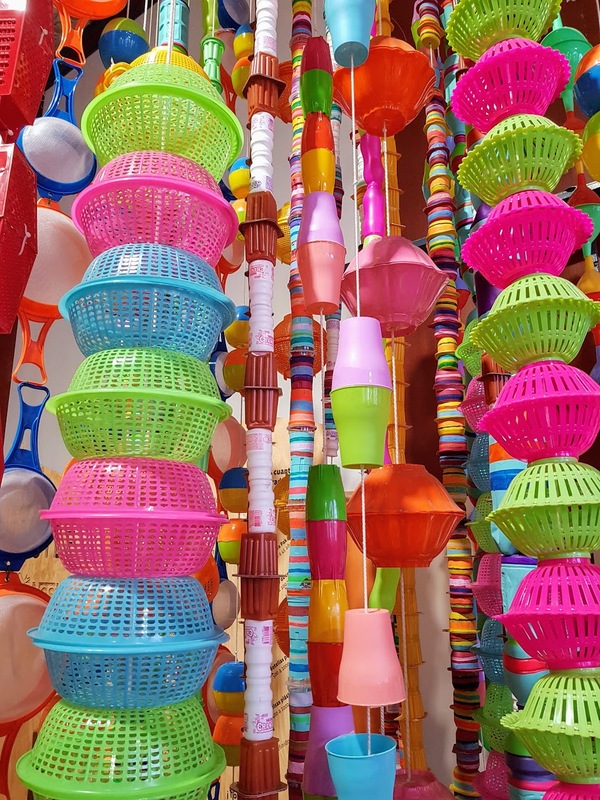 So hoorah for Santiago’s Artequin, a child friendly arts centre. It’s worth a trip for the beautiful preserved building alone. 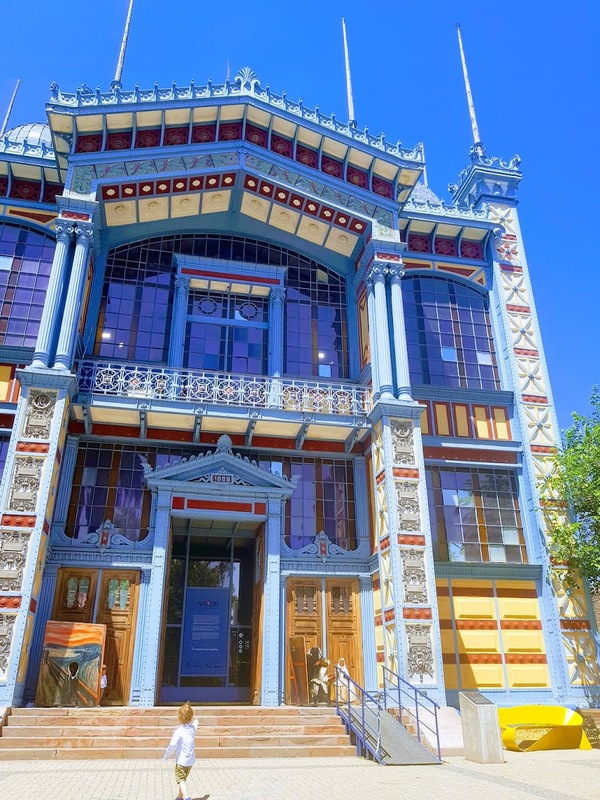 The ‘Paris Pavilion’ was made for the 1889 Paris exhibition, then transported to Chile. 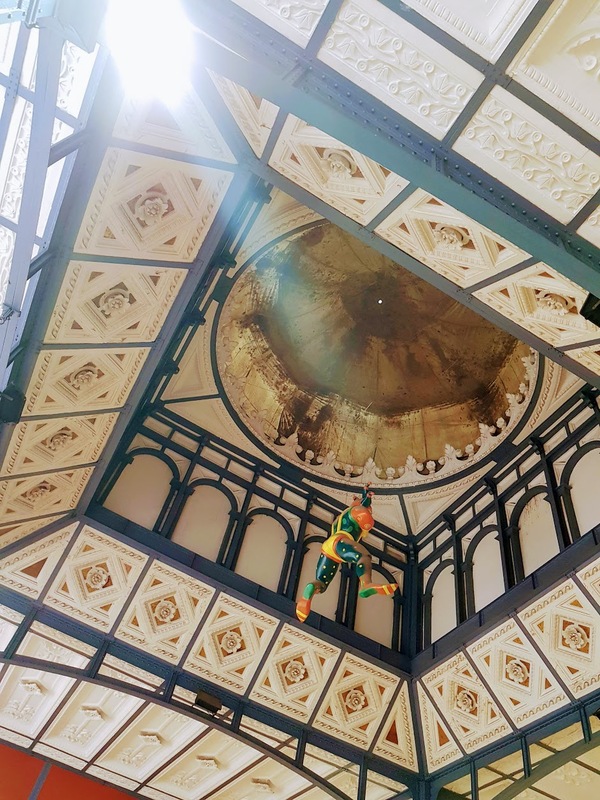 The zinc and iron structure was crafted in honour of Latin American architectural styles and specifically designed to be moved after the exhibition. Today it’s one of five Artequin arts centres dotted across Chile. Don’t go expecting fine art. The works exhibited on the walls are prints only and sculptures are reproductions. The main attraction here is the workshops on offer. We rocked up and took part in lots of arty activities. We explored the sounds of the nature hidden under boxes, we felt our way along dozens of different brightly coloured materials, we made a collage and a paper sculpture. Staff were engaging, fun and very patient. 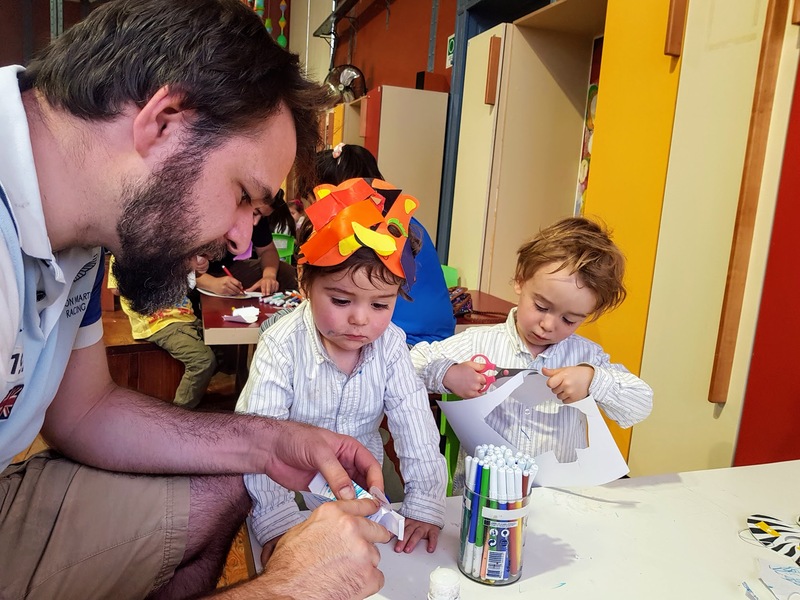 For those with the foresight to reserve, there are a range of more in depth workshops, but our kids were content to colour, stick, draw, tear and create. 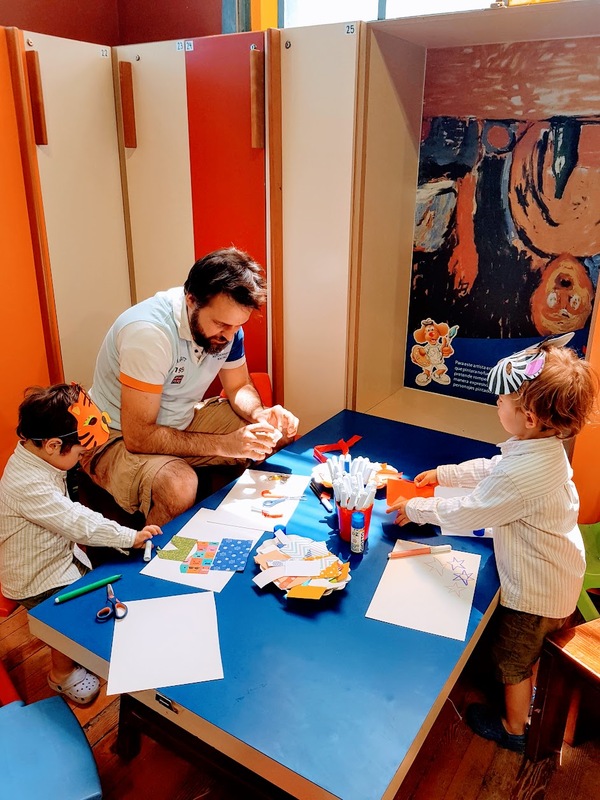 Some of the activities were perhaps more geared towards older kids, but it’s also a fabulous place for preschoolers and babies, with lots of bright colours and sensory fun. 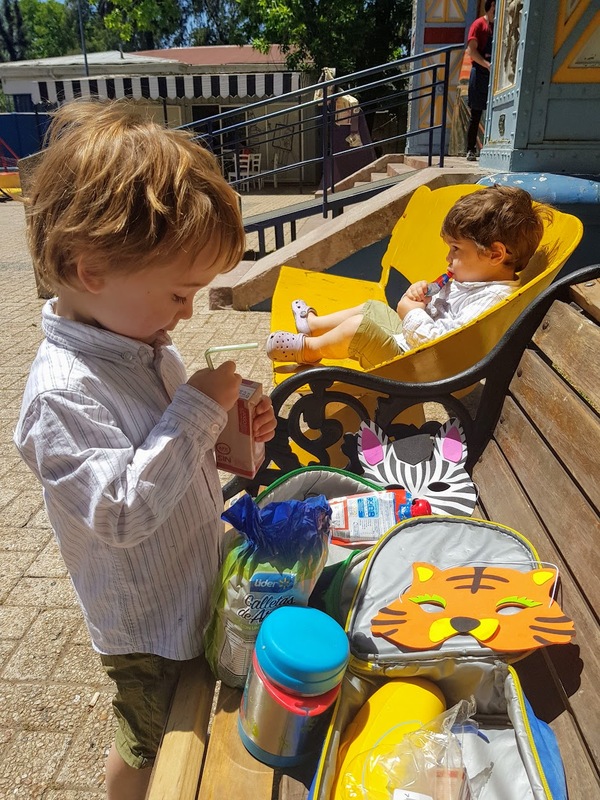 There’s a small cafeteria, but the choice is very, very limited (it doesn’t even serve coffee), so bring your own food and enjoy the sunshine outside. We visited on a bank holiday and were surprised just how quiet it was. Sebastian even learnt a thing of two. On returning home with his paper penguin I asked him if he’d like to be an artist when he grew up. He replied: ‘No mummy, a penguin’. Open from Tuesday to Friday from 9am – 5pm and on Saturdays, Sundays and bank holidays from 11am – 6pm. Closed on Mondays and throughout February. As mentioned, the cafe options are very limited, so pack your own food and drink. Entrance is charged at $1500 per adult, and $1000 for children, students and senior citizens. Children under one are free. Take cash. Stupidly this place doesn’t accept cards and the nearest ATM is quite a trek. There is ample parking across the road near the park (take cash for the attendants). The children’s activities take place on the third floor and there was no lift in sight, so maybe best to leave the buggy at home. Unless I missed something, I can’t see this place being very disabled friendly, alas. Nope, but we passed by. Next on our list!